August 1933, downtown Grand Haven, Mich.—notorious robber Baby Face Nelson walks into the Peoples Savings Bank. Nelson and his gang grab the cash then exit—except his driver already split. 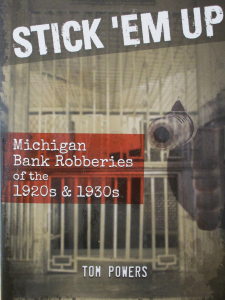 At 7 p.m., Oct. 25 the Brandon Township Public Library will be hosting Tom Powers, author of “Stick ‘Em Up: Michigan Bank Robberies of the 1920s and 1930s” who will share the conclusion of Nelson’s life of crime. Powers says in his research he came across a story of Lester Joesph Gillis, better known by his aliases of George Nelson and Baby Face Nelson, a career bank robber of the 1930s, where he had helped rob a bank in Michigan. The operator had heard the bank was being robbed and stood outside of it with his shot gun, having already scared off the getaway driver. 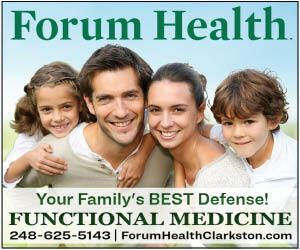 The robbers used employees as human shields to get away, said Powers. Powers will have his book available for purchase at the library, as well as signing copies after his presentation. Anyone interested can register at brandonlibrary.org or by calling 248-627-1460.